Simon’s & White Glogg Reviewed by Edgeville Buzz on November 19, 2010 . Simon’s Tavern was featured in TimeOut Chicago yesterday as they are for the first time ever introducing a white Glogg this year. This pale version of the drink is made by stewing white port wine with pears, vanilla and other spices. Remember GLOGG FEST is tomorrow, and we believe that tickets are still available! Simon’s Tavern was featured in TimeOut Chicago yesterday as they are for the first time ever introducing a white Glogg this year. 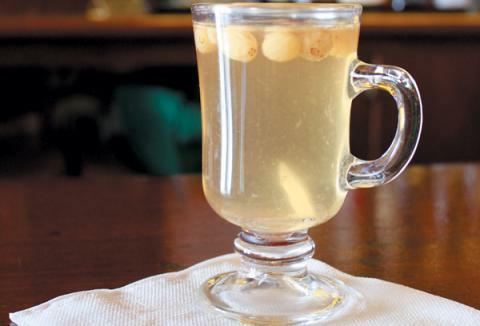 This pale version of the drink is made by stewing white port wine with pears, vanilla and other spices. Remember GLOGG FEST is tomorrow, and we believe that tickets are still available!